Sir Mix a Lot almost just popped out there. But I reigned it in so you would take my post somewhat seriously. Haha. Just kidding! I don't even take myself seriously. Speaking of not being serious, my house has fits of color in it everywhere. As in, there is nothing austere about my place AT ALL. I've heard it described by a friend as "a rainbow threw up in there." In my defense, this is friend who doesn't like color and likes pretty much nothing on her walls. She totally does the classy look which I don't even try to attempt. In her defense, she also didn't know I heard her and she spoke a certain level of truth. I'm afraid walking into my house for her was a major assault on the eyes. Sorry. I can't help it. Color makes me happy and giddy and at the same time makes me feel at home. I can't live without it. If I walk into a place with no color, I automatically think it's sterile and lacks personality. I know I am at the point of a color "intervention", but then when I cruise the web, these are the pictures that grab me and I HAD to pin to my pinterest inspiration board. Here is exhibit A. See what I mean? That was just a preview of my taste. That being said, I don't paint my walls much. I leave them mostly white because I feel that color is best when there is a white spot for the eye to rest behind them. As you can see in most of these pictures, color and white walls go best in my humble opinion. Which is super handy for me, because when it comes to me and paint, it gives me an excuse to really be super lazy and not paint large wall surfaces. On the other hand, large pops of color work best, and at the moment, I just have small ones everywhere which makes a cluttered feel. I am about to remedy that. 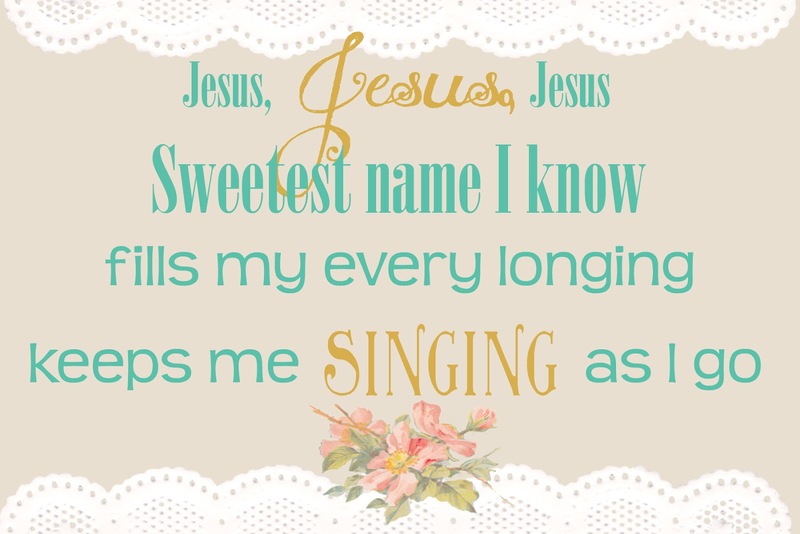 Above my couch is a hodge podge of shelves and pictures and knickknacks and I am about to do a clean sweep and get rid of most of it to just frame this graphic of a favorite hymn refrain. I created it in photoshop with some fun fonts and graphics. 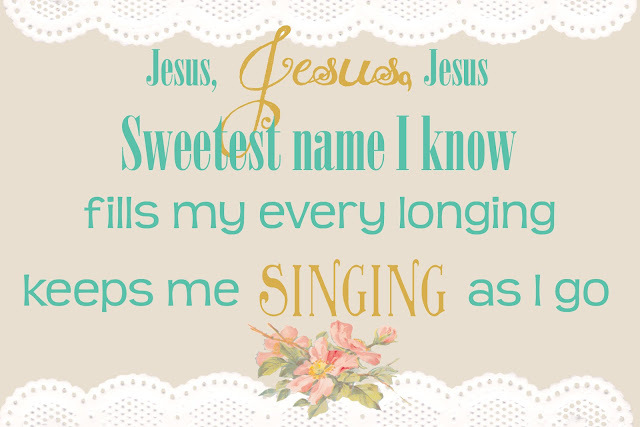 Does anyone sing this hymn anymore? Anyhow, I am planning on making it into a large canvas to hang. I also created a smaller version on a 8X11 sized paper. You are welcome to print it off and use it for your own decor. I mean, that is if you like color as much as I do. Here is my Google Doc link so you can view and download it as well. It's a printable freebie! My mom used to sing that song to me all the time! I love your style and I am in LOVE with that first kitchen you shared a picture of. The part about how a rainbow threw up in there made me laugh. I'm sure people say the same thing about my house and often think that we have too much color going on. The only thing I really can't stand in a house is paint colors that are too dark. I like the light and airy stuff. I love those happy colorful spaces, Jenny! And that hymn :) My pinterest boards are full of color too and my house doesn't exactly reflect....working on that over here!